Whitey loves almost any window. 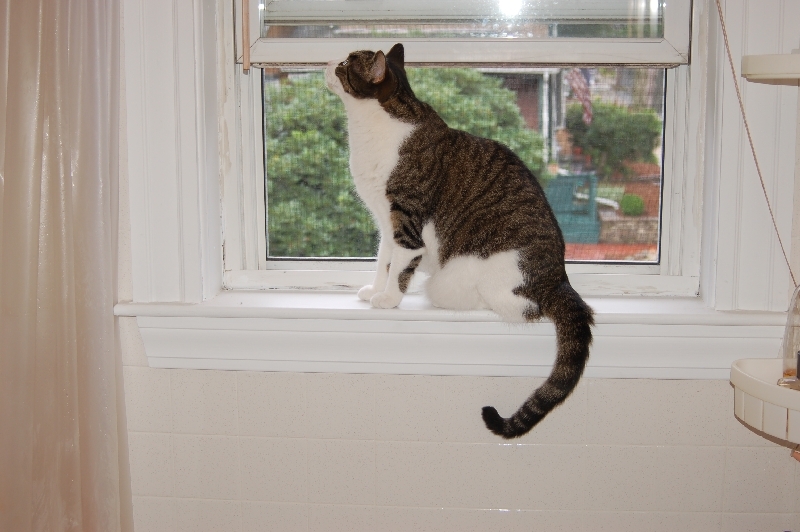 He'll even jump the tub to get up into the bathroom window if we leave the outer shower curtain open. Once in a while he'll even try with the outer curtain closed, which makes me nervous in case he brings it down around him -- he would not be able to claw out of that heavy plastic.